Pixar’s series of SparkShort YouTube releases is coming to an end with their latest short “Kitbull”, and it’s absolutely the cutest one out of the bunch. Even the YouTube thumbnail is enough to make my heart grow a couple sizes. The most immediately noticeable thing about “Kitbull” is the fact that it’s 2D – it has joined the small and highly respected group of 2D-animated Pixar shorts. It’s not often we get to see Pixar tackling hand-drawn projects (and so beautifully! ), but this isn’t the only thing that makes “Kitbull” special. “Kitbull” follows a tiny stray kitten who is independent but frightened of the unfamiliar. The kitten is also a strong contender for Pixar’s cutest creation to date. You can tell the animators took inspiration from the internet’s wealth of cute cat videos: its playful behaviour, clumsy, unpredictable movements, and ridiculously dilating pupils are all spot on. The kitten meets a dog – a pit bull – but is too scared to approach it at first. This is partly, and understandably, due to the enormous size difference, but also because of the kitten’s fear of anything new or unexpected. It takes a vital moment of brave empathy and vulnerability for the kitten to finally extend a paw of friendship to the poor dog – a moment that ends up improving both of their lives for the better. It’s difficult to put into words how delightful “Kitbull” is. The digitally hand-drawn style is beautiful. When you see storyboards and colour scripts from Pixar movies, there’s always this wonderful sense of fluidity and ease to them, and “Kitbull” feels like a collection of these brought to life. Obviously the 3D-animated movies Pixar are famous for are stunning in their own way, but it feels special to see something different, especially when it’s done so well. The kitten is also quite abstract in its design, which is something I feel makes the world of animation so magical. “Kitbull” is unique in its animation style, but also in its use of darker themes. On the surface, it’s heart-achingly cute, which makes it memorable in itself, but also cleverly adds to the impact of the moment you realise the pit bull is a victim of animal abuse. “Kitbull” is the last of the SparkShorts that we’ll be seeing for a while. At the end of the year, Pixar plan to have them all available on Disney+, along with three other SparkShorts that are already complete – “Loop”, “Float”, and “Wind”. A new Toy Story 4 clip was shown today during a short interview with Annie Potts (voice of Bo Peep) on ‘Good Morning America’. The short clip is a flashback – Bo is still in her original outfit, as opposed to her recently revealed new look, and you can see that the classic gang of toys are in Andy’s sister Molly’s room. We see the toys carrying out a rescue mission (something that we’ve all grown quite familiar with by now): RC is stuck outside in a rainstorm, and Bo and Woody quickly snap into action. Bo addresses her sheep by name – Billy, Goat, and Gruff – and orders them to open the blinds, then calls the Barbie dolls into action to propel Jessie up onto the window latch. The clip really shows off Bo’s leadership skills, something that her and Woody clearly have in common. 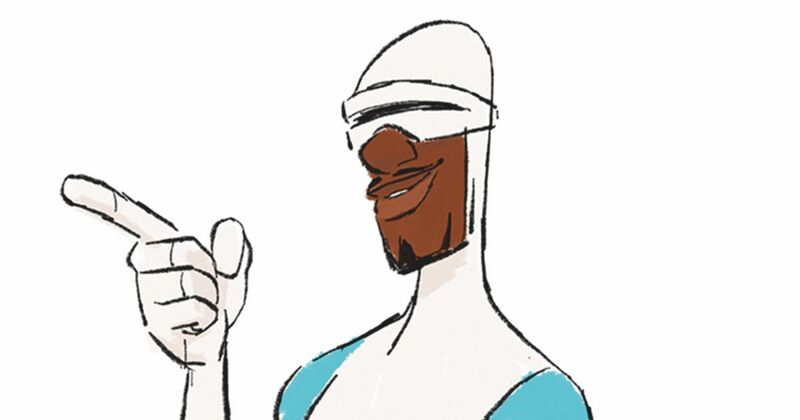 What do you think of Bo’s new look? And is this a flashback to how Bo and RC got separated from the gang? We’re looking forward to the release of more Toy Story 4 clips and trailers now that summer is steadily approaching! In honor of Little Bo Peep’s fabulous new look in Pixar’s upcoming Toy Story 4, we’re starting a new series dedicated to the countless Pixar heroines who’ve graced the silver screen. From Elastigirl to Merida, we want to highlight them all; not only focusing on their strengths, but their weaknesses too; it’s every little bit about these heroines that makes them so empathetic, so powerful, and why they mean so much to us. We’re starting off the series by focusing on Dot from the often overlooked and severely underrated A Bug’s Life. Dot is rut of the family, the young princess ant, and sister to Princess Atta. She’s small and she hates it. Because of her size, and her position in the royal family, she’s often overlooked and made fun of. It’s also established early on in the film that Dot is trying to fly, but she can’t quite grasp how her wings work yet; it might be her obvious inexperience or her lack of confidence, but either way, that’s one obstacle she struggles to overcome throughout the film. Dot stays loyal to Flick, even when the other ants in the community show their obvious distaste for him after he knocks the food they spent months gathering, for the villainous grasshoppers, into a stream. When Flick decides to leave the colony in search for bigger and tougher bugs to help protect the colony against the grasshoppers, Dot eagerly awaits his return, using his telescope invention to keep watch for him. Dot’s friends make fun of her for using his inventions and siding with Flick, but she has tough skin and ignores their mockeries. She’ll do anything for Flick. It’s safe to say Dot is the sole ant who helps save the day in A Bug’s Life. She’s a cutie that packs a punch, despite her youth she’s wise and optimistic and helps move the main cast of characters through even the darkest moments in the film. Her determination alone is inspiring; not once does she give up and sulk at the fact that she can’t fly or that she’s small and incompetent. She has her bad days, but she keeps on moving forward. She keeps trying, again and again, and doesn’t stop until she gets the results she’s satisfied with. Dot also isn’t afraid to speak her mind, even if it means hurting someone else’s feelings in the process. She doesn’t let her age or her size get in the way when the people she loves are in danger, even when she knows it could be a risk. Despite being part of the royal family, she doesn’t hesitate to put herself out there and to show initiative; she is at her bravest while her sister and Queen Mother are in hiding. After the grasshoppers return to the ant colony and take over their land, demanding the extra food that they weren’t given on their last visit, Dot goes into hiding with the other young ants. When she hears that Hopper, the ruthless leader of the grasshoppers, is going to murder her mother, she comes up with a plan: find Flick and get him to help. As soon as she leaves the hiding spot, she’s chased down by Thumper; the ravenous grasshopper who nearly tore her to shreds at the beginning of the film. Thumper chases Dot and she escapes only when she falls off a nearby cliff. For an instant, we think it’s over for Dot, but she suddenly reappears on screen – her eyes shut tight and her wings finally fluttering, albeit frantically. She uses her newfound ability to track down Flick where she gets him to return to the colony just in time to help save her family. Dot continues to grow during the final beat of the film, constantly learning and moving out of her comfort zone to get her colony to safety. She works with Flick, gathering the other young ants on to a fake bird that they built in order to scare off the Grasshoppers. As Flick drives it, Dot gives instructions and even makes fake bird cries. She steps into more of an adult roll, accepting her duties and putting herself last to save everyone else. Even when she is captured by Hopper again after their failed attempts at scaring him away, she never backs down or even hints at surrendering; as everyone looks on in horror, she looks back with fire in her eyes and is ready for a fight. As Thumper confronts her at the end, ready to start where they last left off after their chase, she shouts at him and slaps him, treating him like a bad dog. At the end of the film, Dot is a changed ant. When Atta, her sister, is crowned the new Queen of the colony, Dot receives her tiara and has officially moved up the ranks in her royal family. (Honestly, after Dot’s bravery, she’s the one who deserves to wear the crown at the end, but I’m willing to let that go…) Regardless, the tiara is a much earned badge after her triumphant display of courage. Andrew Stanton, who worked on the story of A Bug’s Life, discussed creating Dot because his daughter had just been born at the time of production. He was inspired by his daughter and wanted to have a little girl character depicted in the film. Dot was voiced by Hayden Panettiere, but Ashley Tisdale originally tried out for the part. You can find Dot, along with the other characters from A Bug’s Life, in Toy Story 2; they’re all on Al’s abstract painting that’s on the wall of his living room. Awards season is officially here, and Incredibles 2 has already received acclaim at the Annie Awards. Having picked up 11 nominations, it was in with a good chance of at least one category win, so I’m sure the crew are ecstatic to have walked away with awards in both Music in an Animated Feature Production and Storyboarding in an Animated Feature Production. You can find the full list of winners and nominees on the Annie Awards website. Michael Giacchino is famously the composer for both The Incredibles and Incredibles 2, and the sequel’s score somehow packed even more of a punch than the original. Congratulations to all the winners and nominees at this year’s Annie Awards! It’s always the highlight of the awards season to see the fantastic array of animated features, shorts, and series that we’re lucky enough to co-exist with at the moment. 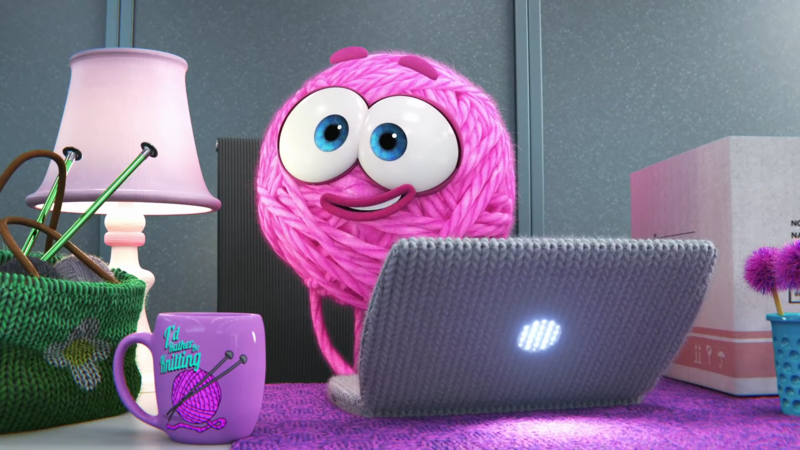 Purl – Pixar’s First SparkShort Is Full Of Surprises (And Knitting Puns) And Hope! “Purl” is full of surprises. And knitting puns. And hope! It follows the story of an enthusiastic ball of yarn, Purl, facing her first day in a new workplace. Right from the beginning, it’s clear that the company’s current employees are all practically identical. Pixar’s SparkShorts could be described as creative ‘side-projects’ (but you can tell they’ve been made with just as much love and care as Pixar’s full-length features, if not more). With the shorts being made on a limited budget and schedule, it’s to be expected that some shortcuts will have to be made, but the current male employees all being essential clones of themselves seems like a very deliberate choice: Purl immediately feels out of place. The more we see of Purl, the more she stands out. First of all, she’s a ball of yarn. All her belongings are beautifully knitted. But even her animation is slightly different to that of her colleagues – she moves a little more ‘choppily’. She behaves differently. She has fresh ideas. Her fellow employees don’t think that’s a good thing, and eventually, neither does Purl herself. Soon, her frustration is literally tying her in knots. The lack of acceptance and understanding is breaking her down. Purl ends up doing what seems to be the only solution – she attempts to fit in by making herself a clone of the clones. It works, but that’s obviously a bad thing. By suppressing her true self, she suppresses her new ideas and her originality – the company can’t move forward, and life can’t move forward like this either. Finally, it takes a new employee, another bundle of enthusiastic yarn, to make Purl see what’s truly important. The story of “Purl” will feel eerily familiar to many of us: women being stifled in a male-dominated work environment; people of colour feeling isolated in a predominantly white community. Amazingly, the short could easily be applied to Pixar Studios itself with its recent changes in staffing. The short couldn’t have come out at a more fitting time, and its ending is brimming with hope and diversity. Let’s hope Pixar’s first SparkShort sparks a positive change across the industry, and the world! Every workplace could do with a better balance of knits and purls. You can even watch Behind The Scenes of “Purl” and Meet The Filmmakers on YouTube! We’re being treated to two more SparkShorts in the next two weeks too – next week we’ll see “Smash and Grab”, and the week after is “Kitbull”! We couldn’t be more excited. 2019 is the year that Toy Story 4 releases in theatres, and Pixar are doing well at keeping this at the front of our minds. Amongst all the Toy Story 4 hype (including the official reveal of Bo Peep’s return! ), you may have missed out on some smaller stories happening around the studio and beyond. For old fans of Disney California Adventure, “A Bug’s Land” is likely to bring back a lot of fond memories. It was closed in September of last year, making room for the future (a new Marvel-themed land). It may serve as some solace to learn that Heimlich, who was the star of the attraction “Heimlich’s Chew Chew Train”, has found a new home back at Pixar Studios. With Toy Story 4 just around the corner, companies are making use of the franchise’s spotlight by releasing all sorts of new Toy Story­-themed merchandise. Korean beauty brand “innisfree” has released a skincare and make-up collection inspired by our favourite Toy Story characters. Mr Potato Head hand cream? Yes please. Look at all these Toy Story Funko Pop figurines! The attention to detail is just right, especially on Mrs Nesbit and Bo Peep. Find out how the Pixarpalooza began in this endearing hand-drawn short posted on Pixar’s twitter. Just today, recently revealed Toy Story 4 characters Ducky and Bunny (who appear to live at a carnival) got their very own Twitter account: @duckyandbunny! They seem to have found someone’s lost phone and are using it to share blurry pictures, selfies, and obscene amounts of emojis. It’s interesting that they’re classing a smartphone as a ‘toy’ – maybe this is something that will be explored in Toy Story 4 this summer? This new toy is AMAZING! Wow it’s so much better than staring into the distance for years on end. Now we can just stare at a rectangle from the future! Monsters, Inc. 2: A Prequel?